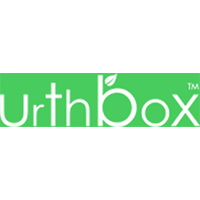 UrthBox offers the unique opportunity to receive a monthly box. The contents of the box can vary from one month to the next, but the main concept will always remain the same. Each box will contain a collection of healthy snacks, healthy beverages, and much more. Everything that goes into each of the boxes shipped to customers has been chosen very carefully by the creators of the website. The box is always designed to give consumers a wide variety of snacks and drinks to try and enjoy. Note as well that all of the products are full-sized products. You will also have the option to purchase larger quantities of the things you like. For most up to date offers check out Urthbox on Facebook and Twitter or contact Urthbox Support for any questions.